THE practice has been outlawed and many have been caught, but some employers here are still collecting kickbacks from foreign workers, said migrant worker groups, employment agencies and workers. These extortions can range from a few hundred dollars to thousands, with some employers demanding upfront cash payments from workers to hire them, while others are forcing workers to pay when their work permits need to be renewed. Worker groups said kickbacks take place across different industries, including the construction, marine and service sectors. Ms Debbie Fordyce, executive committee member of workers' rights group Transient Workers Count Too, said some workers pay as much as $10,000 just for a chance to work here. "Why should it cost that much? That is the question. We don't know where the money is going, and it's really hard to prove," she said. Mr David Leong, managing director of recruitment firm PeopleWorldwide, agreed, saying "the pervasiveness of this practice is actually quite deep". Mr Leong, who also recruits foreign workers for firms here, said recruiting agencies, both overseas and in Singapore, often collect kickbacks on behalf of employers in order to better compete for their business. "Some employers ask us to do this but we turn them down." But he conceded that fewer employers are doing so now, after such kickbacks were outlawed in 2008. 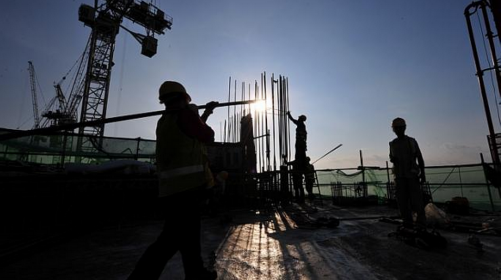 Last week, the managing director of a construction company was jailed for three weeks and fined $169,000 for receiving more than $85,000 in kickbacks from 24 foreign workers and assaulting a Ministry of Manpower (MOM) officer. Under the Employment of Foreign Manpower Act, monies collected from foreign workers as a consideration or as a condition for employment is an offence. But the number of official complaints is small. Between 2013 and last year, MOM received 740 complaints relating to employment kickbacks. Of these, 190 were found to have contravened the law, while the remaining complaints "were either not corroborated or not consistent with other evidence", said an MOM spokesman. Fifteen employers were convicted of receiving kickbacks last year, compared with 17 in 2013. Dr Ho Nyok Yong, president of the Singapore Contractors Association, believes such cases are rare in his industry. "It's only a few errant black sheep," he said. Likewise, Straits Construction executive director Kenneth Loo said kickbacks are less common now. "We put in place procedures and checks and balances to make sure kickbacks don't happen," he said without elaborating. But migrant worker groups said many cases go unreported as workers are unwilling to risk their jobs. "When everyone does it, you're socialised to think that you have to do it. It becomes the norm," said Humanitarian Organisation for Migration Economics executive director Jolovan Wham. Ms Fordyce said other foreign workers are sometimes complicit, helping their bosses to find workers and taking a cut from the kickbacks. "It can be a very casual arrangement and hard to pin down." Among those who have incurred kickbacks is 29-year-old Bangladeshi construction worker Sadon Sarkar. Before he came to Singapore in 2008 to work, he was asked to pay $4,000 to his employment agent back home. His first employer here later deducted $1,500 from his salary annually for three years, as renewal fees for his work permit, he said. "If I didn't pay, my boss would send me back. Of course I'm scared to go home. I need to stay in Singapore to earn money," he told The Straits Times, adding that no receipt was given for any of his payments. These workers must be treated fairly, said Dr Ho. "They come here to earn a living. They also have families and are helping to build Singapore."